But let’s take a broader look about the industry in Bangladesh. Since 1971 the ready-made garment (RMG) sector has been instrumental in the development of the Bangladesh economy, where around 20 million people have been lifted out of poverty in just the last 2 decades. Annual growth in the apparel sector is predicted by the World Bank at around 8-9%, and the total garment export trade for Bangladesh has been estimated this year to be worth around 25 billion USD. That’s around 2,2 billion tonnes of materials going through garment production yearly. The sector provides employment for approximately 4 million people, most of whom are urbanising women, working in an estimated 5000+ factory units. Bangladesh is now second only to China on the world export stage for garments, having 81% of the economy based on garment exports. Many factors have been instrumental in the success of this rapid growth in the RMG sector, including crucial government policy and regulations. There is a vast, skilled labour force and people in the poorest rural areas have flocked into urban spaces for work opportunities. The government supports the textile and garment trades with special export processing zones (EPZ), 8 designated areas where goods can be imported, manufactured and reshipped with a reduction in duties and minimal intervention by custom officials. These are designed to make business easy, and to help attract foreign investors. Other business friendly policy includes low duty on new equipment and machinery upgrades, financial incentive for use of local inputs and the creation of clothing and textile villages. Factors outside of Bangladesh include GSP (trade privileges) in Europe and the rising business opportunity of the Russian market, which is diversifying from China and Turkey to Bangladesh in search of value labour costs. Although the country has gone through major improvements due to global public push as well as local government policies, our focus on leftover materials brings out the fact that unless there is a push, other issues stay waiting in the to-do list. The quantities and classification of solid waste remain largely undocumented. Seen as a secondary problem for most garment suppliers, left overs as spare rolls or cutting scraps can be difficult to trace as they are usually sold to the local secondary market at low prices as quickly as possible after production is finished. Considering the vast number of waste dumping sites by roadsides all around Dhaka it’s clear that the local market is overwhelmed and waste made available far outstrips demand. We have gathered data from 4 major suppliers, showing the harsh truth – the total volume of leftovers in different forms (yarns, cutting scraps, cut pieces, roll ends, overproduction, rejected pieces and garments, etc) can sometimes be as much as 47% of the total raw material input. Even with the best optimisation methods, we have not found the volume can't be lower than 20%. It's not waste, it's mostly considered as different side-products of a supplier, sold on to local market for others to use. But for the major buyers it still means resources flowing out of their value chains on massive scale on regular basis. 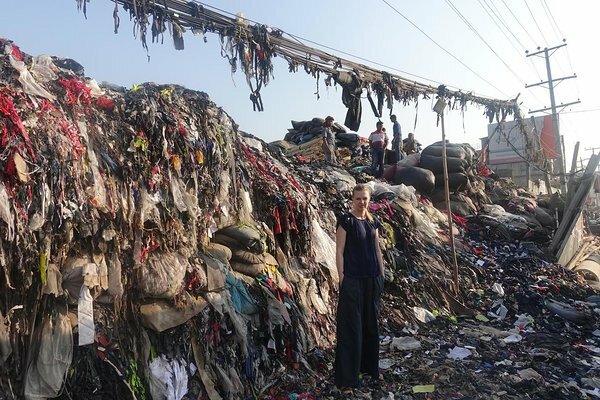 In total, calculated bottom-up or top down - at least 500 000 tonnes of leftovers (can be even 700 000 tonnes) are created in Bangladesh per year, which, with a combination of different reuse and recycling techniques could be repurposed into >1 billion new garments (taking an average of 0,5 kg of material per product). The price of virgin cotton is currently around 1,8 USD/kg, at least 4 times the price of white cotton cuttings scraps (good for making new yarns) in local market in Bangladesh, showing great potential to practice different methods of reuse and recycling in a profitable way. This shows a huge untapped economic opportunity! With our software solution, we now intend to make these materials visible and usable and demonstrate a new business case to turn textile industry circular. 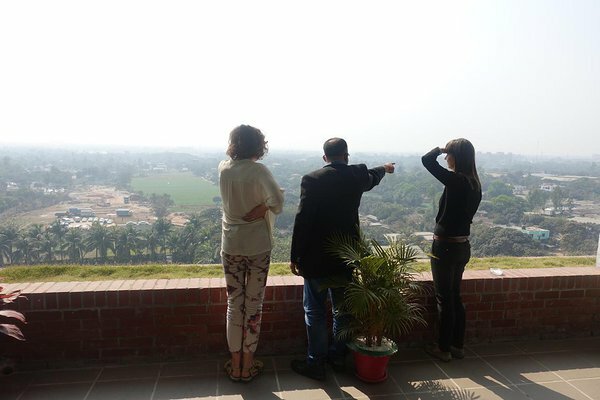 And we are very excited about the next steps ahead to carry out the case studies and calculations with partners in Dhaka!